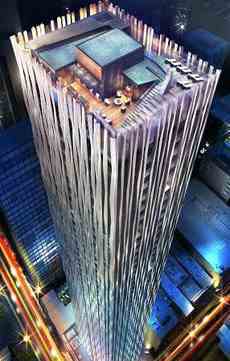 1 Yorkville is a new condo project by Bazis Inc. and Plaza currently in pre-construction at 1 Yorkville Ave in Toronto. The Toronto horizon is about to be home to the most awe-inspiring new milestone development. 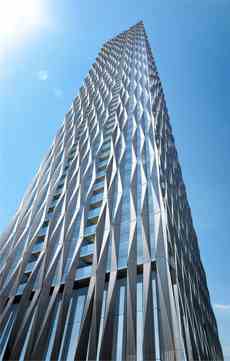 Bazis and Plaza unveiled breathtaking plans for 1 Yorkville, an elegant and exclusive condominium that is poised to become the paramount address in Toronto's most desired neighbourhood. When you look at the criteria of what makes an outstanding location, 1 Yorkville far exceeds all expectations. The finest of Toronto will be within walking distance of the front door of 1 Yorkville. Strolling through Hermes, Gucci, Holt Renfrew, dinner at the Four Seasons across the street, a glass of Moet at the Hyatt's Roof Lounge - whether it's luxurious shops or a selection of the city's finest restaurants – the options are endless. And 1 Yorkville is conveniently by the Bloor and Yonge subway lines and PATH. The 1 Yorkville residences will be reflective of the building design and will offer a perspective not seen in any other luxury condominium in Toronto. They will include one, two and three bedroom residences with many custom designed features. 1 Yorkville project changing perspective in Yorkville and adding an important architectural imprint to the City, all while preserving a rich cultural tapestry. Foremost, this singular building will redefine luxury in one of North America's most south-after neighbourhoods. 1 Yorkville will offer an unquestionably generous array of amenities located on three levels. A Spa Level will pamper the most spoiled resident; a Fitness Level will keep any athletic enthusiast in best shape; and Rooftop Entertainment Level will provide its users with a distraction from day to day life under the sun or stars. What does it mean to live in Yorkville? It is to be part of a rarefield community, where you can live and shop, dine and build a home - all in one of North America's most celebrated enclaves. With an enviable platinum location at the corner of Yorkville Avenue and Yonge Street, 1 Yorkville's distinguishing design will set a new standard for lavish living in Toronto's toniest district. "There is simply no other address like this," says Michael Gold, president of Bazis. "This is a building that will stand out not only because of its stunning architecture and exquisite finishes, but also because of its magnificent amenities and exclusive services. It will be like staying in a 6-star hotel at a 6-star location." Main Intersection : Yonge St. & Bloor St.